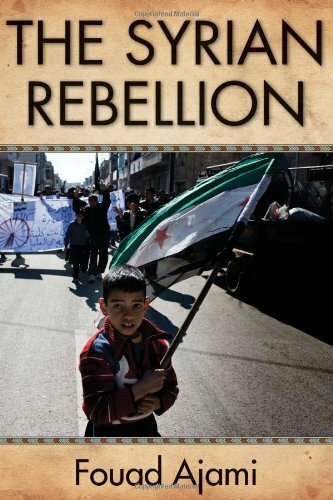 In The Syrian Rebellion, Fouad Ajami offers a detailed historical perspective on the current rebellion in Syria. Focusing on the similarities and the differences in skills between former dictator Hafez al-Assad and his successor son, Bashar, Ajami explains how an irresistible force clashed with an immovable object: the regime versus people who conquered fear to challenge a despot of unspeakable cruelty. Although the people at first hoped that Bashar would open up the prison that Syria had become under his father, it was not to be—and rebellion soon followed. Offering a detailed historical perspective, Ajami shows how, for four long decades, the Assad dynasty, the intelligence barons, and the brigade commanders had grown accustomed to a culture of quiescence and silence. But Syrians did not want to be ruled by Bashar’s children the way they had been ruled by Bashar and their parents had been by Bashar’s father. When the political hurricane known as the Arab Spring hit the region, Bashar al-Assad proclaimed his country’s immunity to the troubles. He was wrong. This book tells how a proud people finally came to demand something more than a drab regime of dictatorship and plunder.